In the 1990s, Victory Plaza and Victory Park were still brownfield sites consisting of a 100-year-old city dump, a railroad maintenance facility, an aging power plant and a row of abandoned grain silos. The shared vision of the development’s public-private collaboration reshaped the life and landscape of Dallas. 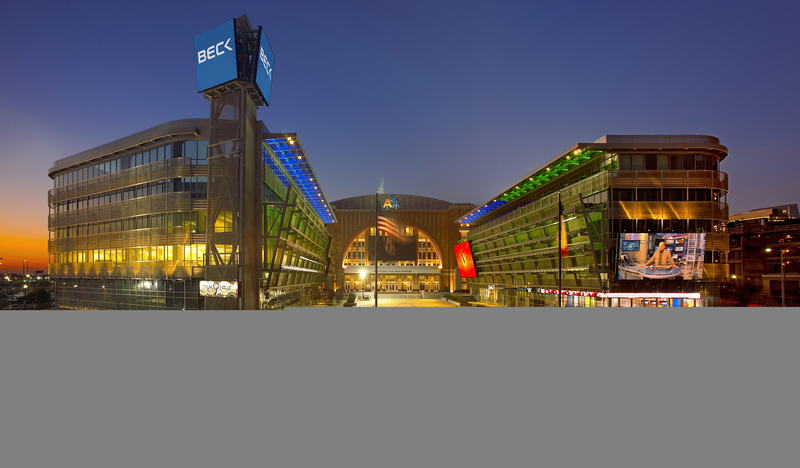 Beck built Victory Plaza’s two 5-story buildings which ﬂank the south side of the American Airlines Center (AAC), home of the Dallas Mavericks and the Dallas Stars. The east building includes retail, restaurants and offices. 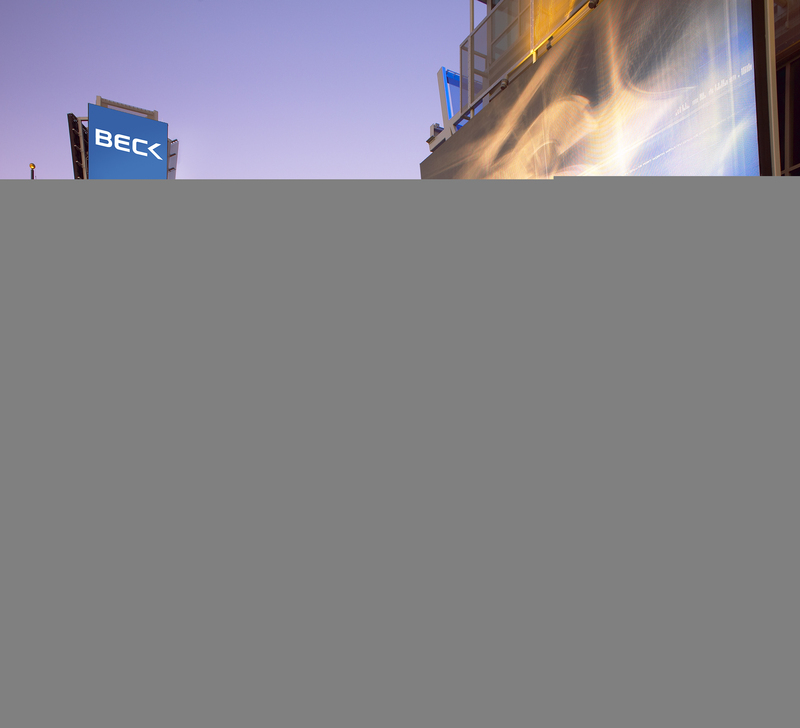 A major broadcast television studio is located on ground level. The west building includes restaurant and office space. 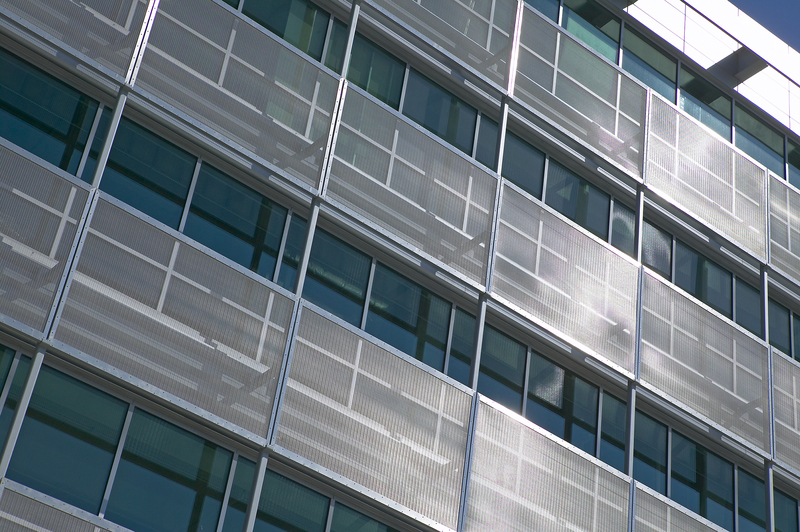 Eight 15-foot by 31-foot LED screens lean out over the plaza and travel the length of the building on a motorized railing system. 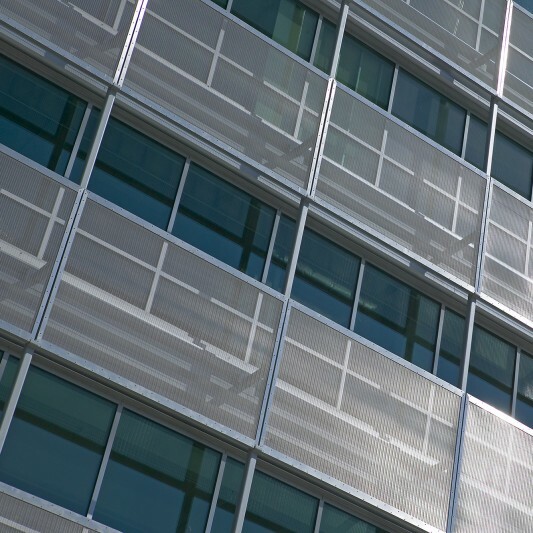 Two large screens are positioned on the west building’s tower in addition to one on the face of the east building. 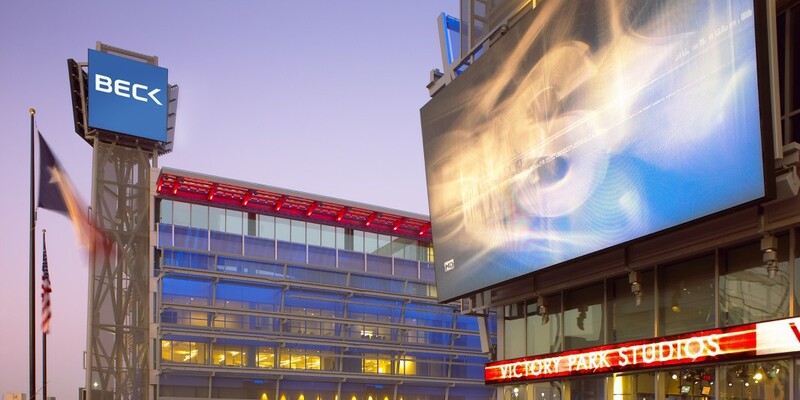 These systems are used for special events, digital art displays and competitions as well as advertising and simulcasts from the television studio. The EPA recognized the project as one of the largest and most successful clean-ups on record.